Clover Chips occupy a special place in many a Filipino’s heart (and diet), having been around as a popular junk food snack in the country for the past three decades. While their flavor lineup’s remained more or less constant over the years (Cheese, Ham & Cheese, Barbecue, and Chili & Cheese), their newest variant aims to shake things up with a flavor genre popular in Asia, but has remained unexplored by the brand until now: seafood, in the form of their relatively new “Shrimp Barbecue” variant. Within the sky blue package (which strikes us as oddly Western-leaning for an Asian-style snack), you get numerous chips with the signature curved Clover Chip shape, but with a salmon-pink hue that’s dusted with a light seasoning powder. The color is a little alarming when you see it for the first time considering other seafood chips will tend to go the beige-to-white au naturel route (you’ll find Red No. 40 on the ingredient list, FYI), but this does help convey its shellfish theme and—only because it’s junk food—we’ll take it nevertheless. The color can be off-putting, but hey, it’s junk food. Though exactly the same size and thinness as other chips from the brand’s line, they’re a little smoother on the surface and feel a tad heavier. 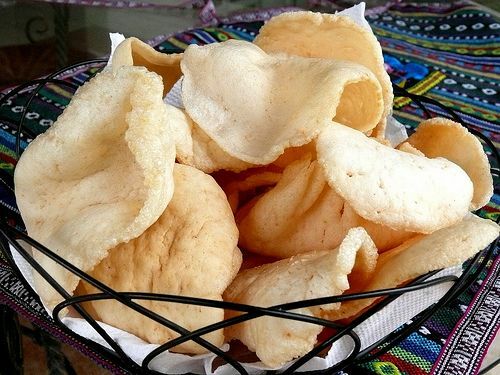 This, we presume, is due to the use of wheat starch in place of the corn used in the other flavors, in addition to the tapioca starch you’ll also find in all Clover Chip variants, in its base chips. While it’s still light enough that you can eat this by the handful, the said qualities make for denser chips compared to the light, melt-in-your-mouth nature of all other Clover Chip variants. This makes for a more satisfying crunch—which is just the right vehicle given its stronger flavor. 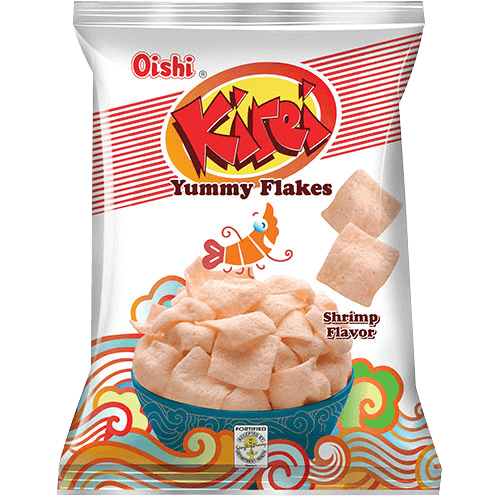 While the seasoning powder features the generic MSG-type taste you’d find, say, in fellow snack brand Oishi’s Kirei crackers, the chips themselves feature a deep, shrimpy flavor that’s slightly garlicky and all parts full of seafood umami which lingers long on the tongue. There’s just the subtlest hint of spice, likely alluding to the “barbecue” part of the equation. But it’s wonderfully evened out with a slight shrimpy sweetness—something not all shrimp snacks offer—that works its way in eventually, in turn waiting to be balanced with more of the umami and spice as you pop in more pieces. And while a single chip isn’t necessarily more potent in taste compared to other seafood snacks on the market, the small size and density mean you can pack in more pieces per handful and get a bigger hit of seafood in each crispy, crunchy bite. If you’re crazy about Clover Chips and need a good change from their other meaty, cheesy flavors, keep your eyes peeled for this variant the next time you’re in the supermarket. Sure it’s a little heartier than the other variants with a stronger taste, but it also goes to show the true versatility and wide potential their signature chip form. Are there any other chips you want our Snack Critic to try? Let us know in the comments below. I’ve always been on the lookout on unique snack flavors. This Clover variant is one of them. Very imformative article. 🙂 Have you tried J&J Calbee Honey Butter Chips? Its my current favorite. I heard they’re big in Korea. Looking forward to an article on this. Thanks!